Keep the focus on faith in your wedding ceremony with this exquisite wedding ring set. 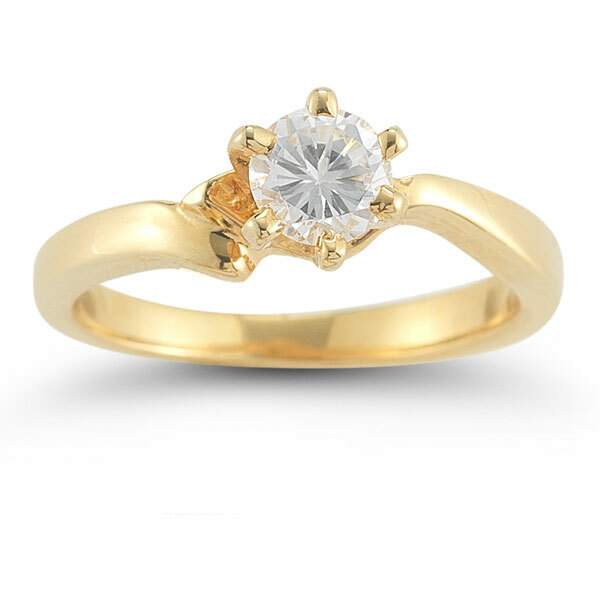 The set features 14K yellow gold for the bands and design elements, giving it that traditionally beautiful glow. The engagement ring includes a + carat white diamond. This precious stone is round cut and sparkles from every angle. The wedding band brings a special element of faith to the ring set with a Christian cross as its center. 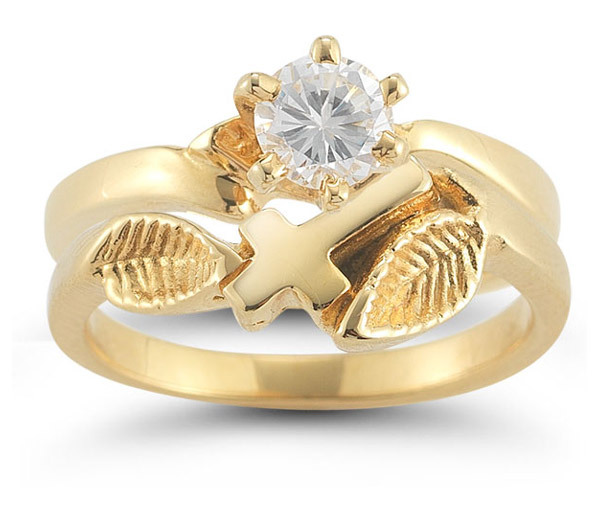 Two golden leaves rest on either side of the cross for a touch of natural beauty. 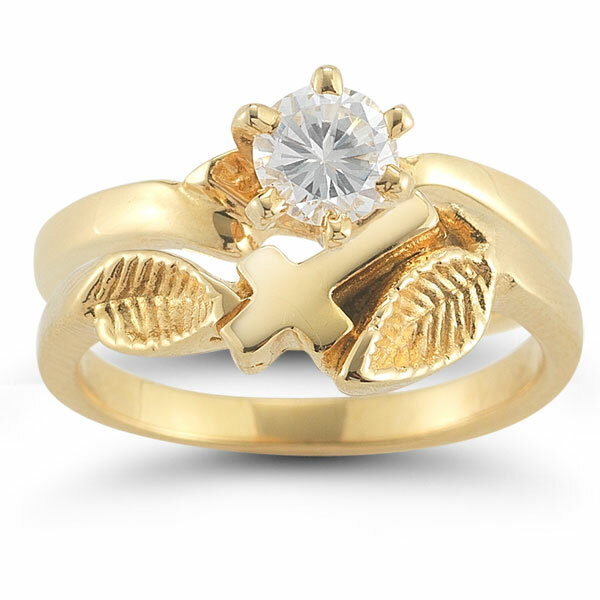 Apples of Gold Jewelry guarantees the Christian Cross Diamond Bridal Wedding Ring Set in 14K Yellow Gold to be of high quality and an authentic engagement ring with real diamonds, as described above.